What I mean of course is that Geoff is known to many being a renowned journalist for several users and also being father to Seth, Sean and Sam Lakeman; all musicians, all well known and father-in-law to equally renowned Kathyrn Roberts and Cara Dillon he has influenced some great musical talent, but he himself as never done a solo recording. I’m sure there is some saying about Salmon returning to where it was born or something about rivers and the ocean (I am not sure myself what I mean) but this personal wish to have have a disc made is a big one, and a timely one of that. In a world where politics are more than ever discussed and the issues of truth and honesty are being debated; there is something refreshingly simple yet powerful about the contents of “After All these Years.” After all, Geoff was a veteran observer and recorder by profession (in journalism), it seems that however the world has turned Geoff would have seen and heard all and he is presenting what he knows to the listener. 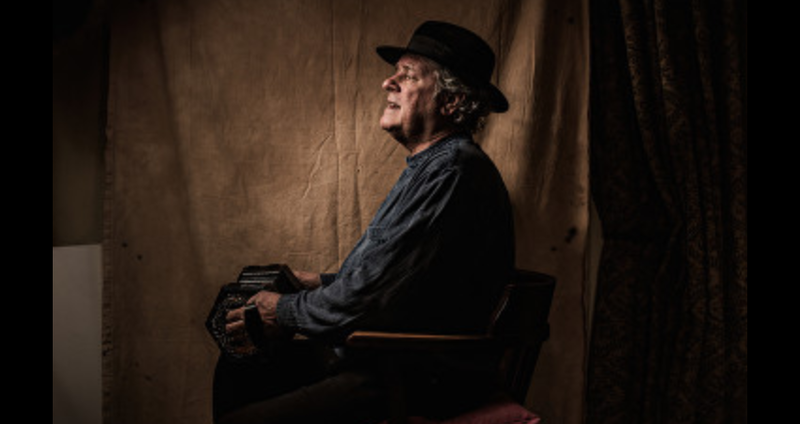 As a result we get an album that feels like it honours the songs within that he covers as well as the working man; it speaks from a wise, considered approach to the fundamental traditions of folk and has a pretty humble quality to it. Another way of putting it is that there are few “airs and graces” to be had here, the album is a listener and thinker not the debutante who wants to be seen and heard at all costs (and more the better for it). As a listener, Geoff puts on a quiet celebration. Indeed, the album is characterised by it’s celebration of the past and in order to do so Geoff is joined by a multitude of artists. Not only is there family as Sean(producer an guitars), Seth (violin, viola), Sam (piano) and Kathryn and Cara (vocals) but also the well received Jim Causley (vocals, accordion), Jamie Francis (banjo), Ben Nicholls (bass, harmonium, jaw harp), Dan Crimp (whistle) and Gill Redmond (cello) also along for the ride. This crew of forces are to be reckoned with, but then they are topped off by legendary guitarist Nic Jones who sings some backing vocals on “England Green, England Grey.” It all builds a picture of an album intimately assembled with it’s supportive and close roster of characters. How are the songs? There are some great Geoff Lakeman original works here. “Tie ‘Em Up” is one example of many on the disc where Lakeman is holding his principles dear, standing up for the fisherman with their imposed quotas and livelihoods that are being toyed with by officials, “We’ve risked our lives, left our wives. Missed our children growing up. Now we are high and dry upon the shore. On the dole – won’t fish no more.” A bouncy type of shanty and a sideways jab at authority like the latter original track “Doggie Song” (that we will see later), it would not be out of place in a musical on the stage with professional dancers in yellow fishing macs juggling buckets of fish. It oozes character as a squid oozes ink, the vocal harmony injects an infectious energy throughout and the concertina, as you would expect, is faultless. This all comes together in an even grander way for the “Rule and Bant”, a song about two Cornish miners who were trapped underground in the latter part of 1800s and the events that unfold as air was pumped down to keep them alive. It booms as Lakeman weaves the story around with harmonies that plunge deep like the obsidian earth itself and promising doom. A clear favourite that incorporates some nice touches with history. 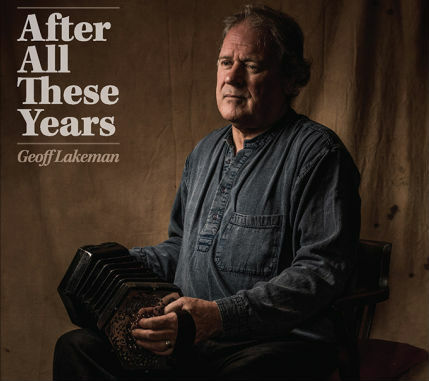 But also there are covers that showcases Lakeman’s ear for a good tune and history in the folk scene. For example, Geoff’s version of Buddy and Jullie Miller’s sun-scorched “Wide Wide River to Cross” gives several of previous renditions a run for their money. His voice is warm with crystal clear enunciation, a beautiful trill of a vocal harmony and performed with a truly emotive mix of instruments it really gets into the corners of Americana’s dusty barn. If old folk songs were cowboys, this would a sheriff. The concertina bites delightfully across the track like the wind of a dustbowl’s cold evening nights, it is all very enjoyable and another favourite on this disc. Whilst historical in nature as it touches on other times and places, Geoff’s recording of Reg Meuross’ “England Green and England Grey” is very much of now, a political powerhouse and a commentary of the state things. It might be somewhat topical with its distrust of the “BBC” and “the NHS, our England jewel, is bartered by Westminster’s fool” but it really could be any time, especially as it recognises our British empire past. Managing to be both celebratory and critical of the state of things it perhaps places what it is to be British beyond all these events and ends with a collective call. 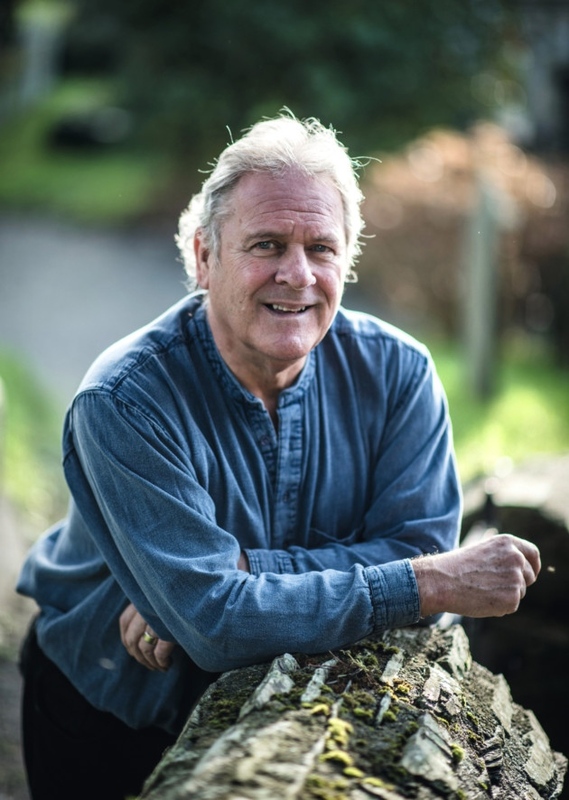 Singing with Nic Jones shows a lovely contrast on this track, they work really well together and bring a several sided look at strength, fragility, morals and tradition to mind. Wonderful stuff. What can I say? The album is like a film with Lakeman being the ethical director, the heart and soul that shapes the performances around him. There are many other gems to be found here which I haven’t mentioned, so I heartily recommend. 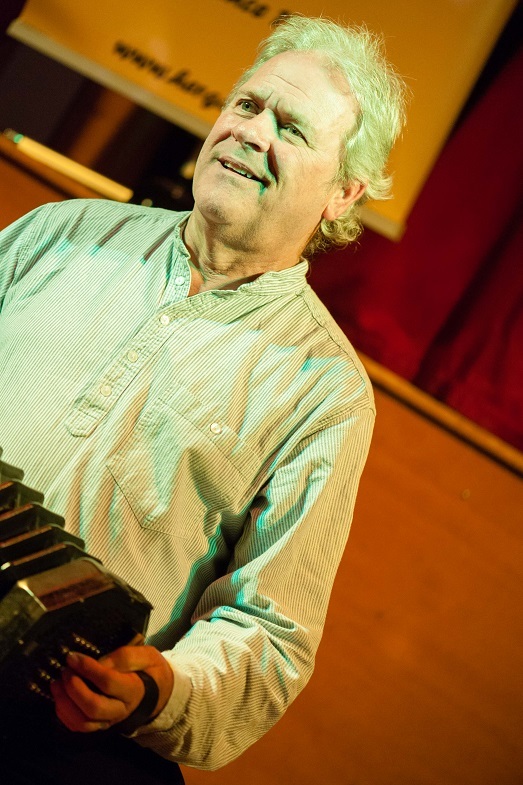 The production is crisp and captures a fine balance of instruments, the duet concertina is very much a star but not at the expense of the other fine performers and instruments here. He leads in an admirable way on the disc, being fearless of reprisals and confident of the dignities and rights of people. When such a moral attitude is combined with some of the most recognised performers of the day, you expect magic to happen; and it does in spades. Check out Geoff’s site here for details of purchasing the album and for more information.